1. Elevated stress levels slow down your thyroid. a. 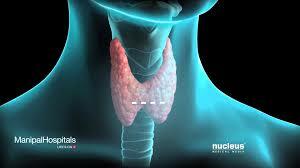 The Thyroid gland is responsible for metabolism. It works by first receiving a chemical signal from the brain called TSH which then tells the thyroid to convert inactive thyroid hormone (T4) to active thyroid hormone (T3). Elevated stress levels prevents TSH from being released, thereby inhibiting the conversion of T4 to T3. Thyroid hormone production decreases and overall metabolism slows down. a. Elevated stress levels can lead to insulin resistance, subsequently resulting in increased fat storage, mainly around the abdominal region. 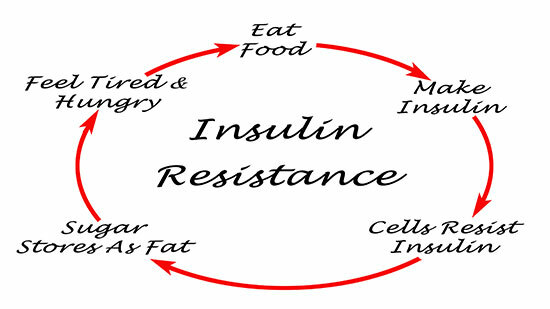 Ultimately, increased insulin resistance causes sugars to be stored as fat! a. When you’re feeling stressed you’re more likely to have ruminating thoughts at night leading to difficulty falling or staying asleep. If you get less than 7 hours of sleep your hormones Leptin and Ghrelin become affected. You may notice that you’re always hungry and never satisfied! A lack of sleep is a major cause for overeating. Moreover, if you’re not sleeping well at night you may feel tired and sluggish the next day. You may not have the energy to take a walk or work out. Less exercise and the intake of more calories is a simple cause for weight gain. 4. 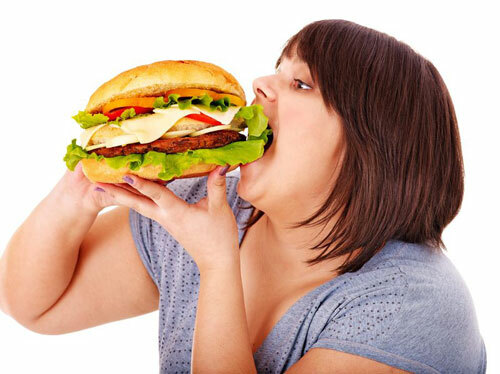 Stress can cause food cravings and lead to emotional eating! a. When you feel stressed you may notice cravings for sugary or salty foods. It’s rare to crave a salad during a period of intense stress! Sugar cravings often happen when stress levels are high; when stress is prolonged and the body gets tired of releasing the stress hormone salt cravings take over. Regardless of what you’re craving, you’re likely to overeat. Coupled with a slower metabolism and insulin resistance, it’s not wonder it’s so easy to pack on the pounds! If you’re experiencing stress of any kind it’s important to strategically manage it. For some it’s as simple of taking a few deep breaths while for others supplementation to address stress hormone imbalance is necessary. Massage therapy and acupuncture treatments can also reduce stress levels as well as improve sleep. If your goal is to lose weight, speak with a professional who can address all aspects that may be affecting your weight loss success! Yesterday I shared my 10 favorite dietary tips that are essential for healthy weight loss and optimal wellness (If you missed it, click here). Everyone who implements these changes notes significant improvements in how they feel physically, mentally and emotionally. When it comes to weight loss, you have to remember that diet is only one part of the picture. 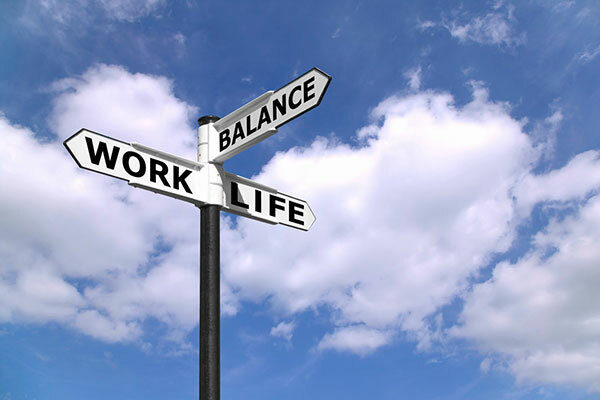 Lifestyle plays a major role and sometimes “life” is the biggest barrier to success. Below you’ll find a list of 11 tips that go above and beyond diet. Incorporating some or all of these small suggestions will surely help you reach your weight loss goals! 1. Chew your food 20-30 chews per bite. Did you know that you are supposed to chew your food 20-30 times with every bite you take? 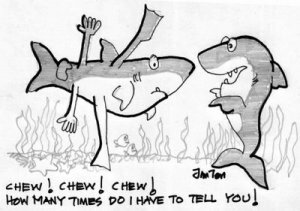 If you’re like most people, you likely only chew your food 1-3 times! Most people eat their meals so quickly their brain doesn’t have time to receive the signals from the stomach that it is satisfied. Slowing down your meals can significantly reduce the amount of food you eat. 2. Mealtime conversations should be light and fluffy. Whether you’re eating alone or with family or friends, mealtimes should always be pleasant. Try to avoid hot button topics or any conversation that makes you or those you are eating with feel upset, angry, irritated or stressed. 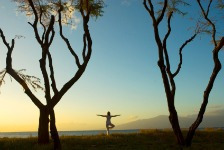 When the body is in a state of stress it automatically sends blood to the muscles and brain. If your body has this response during a meal, your food won’t be digested properly leading to physical symptoms and weight gain. Weight gain around the abdomen is typically related to elevated or prolonged stress levels. Increase cortisol levels (stress hormone) affect thyroid function and blood sugar levels. The thyroid is responsible for metabolism and imbalances in blood sugar leads to fat accumulation. Stress can also lead to emotional eating and sleep disturbances, which can in turn affect cravings and satiety. There are many ways to manage stress levels, from deep breathing exercises and progressive muscle relaxation to incorporating adaptogenic herbs (botanical herbs that help the body adapt and cope with stress) and acupuncture. 4. Spend less time in front of screens. Studies have found that the average person spends 7.9 hours a day in front of a screen whether it be a TV, smartphone, ipad or laptop. You may want to think twice next time you find yourself eating while watching TV or working. You are likely to consume a greater quantity of food when your focus isn’t on your meal. Instead of trying to multitask eating alongside your other daily responsibilities, schedule specific meal times where you can sit down, relax and enjoy your dish! 5. Prepare your own meals. I know that for some this is easier said than done. 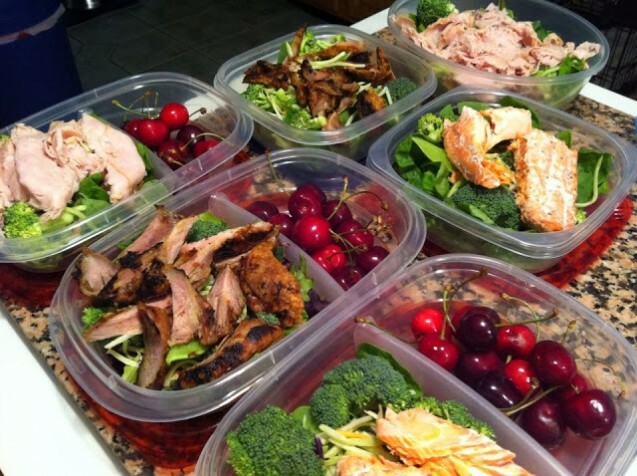 Preparing your own meals is one of the best things you can do for your waistline and your wallet. Come up with a menu for the week and make meals that will work well as leftovers. If you’re making any soups or stews, make enough that you can freeze a batch for another day. Washing and cutting vegetables for salads or stir-fry or save you tons of time. If this task is a challenge for you, consider connecting with a whole-food meal delivery service company that will bring you fresh or frozen foods, individually portioned and ready to eat. 30-minutes of walking every day is enough to help you lose weight and leave significant health improvements. If you have a pet, walking it 3 or more times a day for 10 or more minutes at a time will help you reach your 30-minute mark. If you take the subway, choose to take the stairs instead of the escalator, if you’re driving, park your car a little bit further so that you have to walk. Every little bit counts. 7. Increase your physical activity. Exercise is not only important for healthy weight los but is fundamental to healthy living. Physical activity reduces blood pressure and cholesterol levels, improves heart strength function and enhances lung capacity. It reduces stress levels, benefits sleep, manages pain and increase mood. 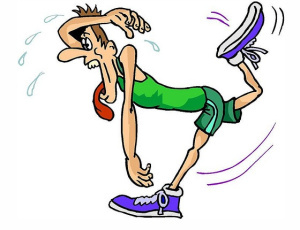 30 minutes of walking every day is the minimum amount of exercise you should be doing daily. If you have some barrier or limitation, speak with a professional to learn different ways you can exercise! 8. Get adequate sleep nightly. Sleep plays a major role in weight loss and weight management. When the body doesn’t get 8 hours of sleep hormones are released that affect appetite and satiety. If you have a hard time with sleep, first ask yourself why. Are you feeling stressed out? Have you overeaten? Are you in pain? Understand the cause of poor sleep is the best way to improve it. Many patients benefit from writing their thoughts out on paper, taking supplements and getting acupuncture. 9. Sleep in colder temperatures. I recently wrote a blog with 3 tips to boosting metabolism and one of my suggestions was the turn your temperature down. When you sleep in cooler environments your body uses more energy to perform its necessary functions. Studies have found that this one trick could substantially reduce abdominal fat. You need to stay accountable. Write down what you’re eating in a food diary on paper or on your phone. There are many free apps you can try that have great features such as myfitnesspal. Calorie tracking devices like the Fitbit and Jawbone will track your steps, how far you’ve walked, how many stairs you’ve climbed, calories burned and active minutes. It also tracks your sleep quality, which is fantastic if you suffer from difficulty falling or staying asleep. Calorie tracking devices often integrate with calorie counting devices such as myfitnesspal, which makes for a truly awesome experience. With my patients, I offer Weight Wellness Check-Ins. This gives me an opportunity to weight and measure my patient and evaluate their food diary. I make all my patients track obstacles so we can come up with strategies for success. Even though weight loss can be a very personal journey, it also requires a lot of support. If you live with someone who would also benefit from making dietary changes, try getting them on board with your plan. Often times the dietary changes you make for yourself will improve the health of your loved ones. If you’re thinking of joining a gym or taking a yoga or zumba class, see if any of your friends want to join you. Sharing your experience with a friend will not only help you both stay motivated but will help make your journey easier and much more fun! When it comes to weight loss, there isn’t one formula that works for everyone. There are however, so many different tips and tricks you can try to enhance your goals. Of course, diet IS a huge component of healthy weight loss but lifestyle plays an incredibly important role as well. Pick one, some or all of these tips to work on and reap the rewards! I’m a big believer that small changes make BIG differences and time and time again, I am proven this is true. When it comes to weight loss, sometimes it takes many small changes to see the difference but everyone has to start somewhere. If you want to lose weight, optimize your health and improve the quality of your life, consider what changes you can make and start making them! I’ve come up with a list of 20 tips that are easy and doable. Pick one, two or all twenty and see big changes for yourself!!! In my efforts not to overwhelm you, I have divided my list into 2 groups of 10. See below for all my dietary tips and check out part 2 of my blog for my remaining 10 weight loss tricks. 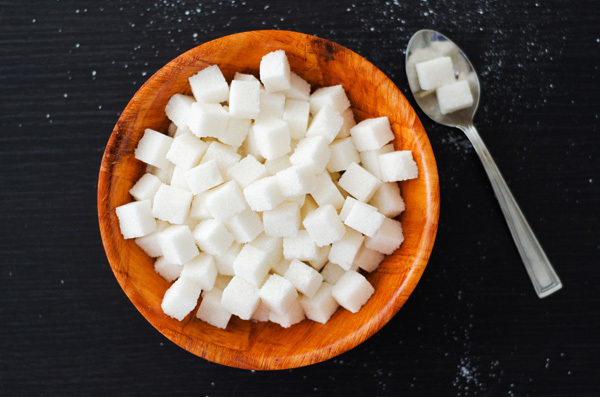 There are two main sugars you will want to eliminate from you diet. The first is refined, processed sugar that is often found on the ingredient list of packaged foods under the names sugar, brown sugar, caramel, caramel syrup, corn syrup, corn starch, high fructose corn syrup, anything that ends in “-ose” such as dextrose or maltose and anything that ends in “-itol” such as sorbitol or mannitol (that list alone should be pretty scary!). Most of these sugars are artificial and all of them affect blood sugar, immunity and brain function. Studies have found sugar to be more addictive than cocaine. The second kind of sugar is glucose, the end product of carbohydrate breakdown. The body breaks down breads, pastas and potatoes into sugar in order to be absorbed and used by the body. Whole grain breads and pasta may provide more fiber and help stabilize blood sugar levels but the bottom line is they still break down into sugar. Prepackaged convenient foods may be inexpensive but their health effects can be costly. If you do buy processed foods make sure you read the ingredient label. If you don’t recognize an ingredient, your body won’t either. Don’t be misled by marketing! The best thing you can do for your health and your waistline is avoid prepackaged foods and stick with whole foods. According to Health Canada’s Food Guide, adults should be consuming between seven and eight servings of vegetables per day. From what I see in my practice alone, few people consume even half of that. Vegetables are filled with vitamins, minerals and tons of phytonutrients that are essential to health. Most vegetables can also be considered zero calories and can be consumed in unlimited quantities. Like vegetables, fruits are a great source of vitamins, minerals and phytonutrients. They are essential to health and are a great substitute for refined sugar. Fruits contain a third type of sugar called fructose. Fructose is a natural sugar that is jam-packed with anti-oxidants. 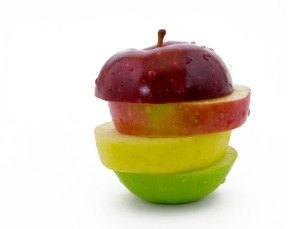 If your goal is weight loss, it is important to limit your fruit intake. Enjoy up to 2 servings per day but avoid eating more than that. Lets get one thing clear: healthy fats don’t make you fat. Fats make food taste good and make you feel satisfied. It’s all about the fats you’re consuming. There are two types of harmful dietary fats: saturated fat and trans fat. Saturated fats can be found in red meat, chicken and full-fat dairy products while trans fats come from hydrogenated oils. These fats are implicated in obesity and heart disease. Healthy fats include monounsaturated fatty acids, polyunsaturated fatty acids and omega 3 fatty acids. These fats come from a variety of sources including fish, olive oil, nuts and seeds and avocados. Fats should always be consumed in limited quantities because of their high calorie content but they do not need to be avoided. If you’re trying to lose weight, limit your fat intake to 2 tsp of oil per day in addition to 1tsp of seeds or 1 handful of nuts. Avocados can be consumed 2x/week. 6. Include Protein with every meal. Protein is incredibly important for every cell in your body. You need it for your hair, skin, nails, hormones, neurotransmitters and muscles. Protein is essential and most people don’t consume enough of it. Protein can come from both animal and plant sources. Some people do best on a strictly vegan diet while others thrive on a paleo diet. If you eat meat, make sure you include a variety of different lean proteins and limit red meat to 1x/week. 7. Include protein shakes daily. If you don’t eat meat, it is important for you to include protein shakes at least one time per day. Meat eaters should also incorporate protein shakes one time per day. When you eat any animal or vegetable protein, your body only absorbs 30-50% of that protein. When you consume a protein shake, made from isolated proteins such as rice, pea, soy or whey, your body absorbs 95% of the protein. If you want to lose weight from fat, you have to nourish your protein stores. Protein shakes or premade foods as found in The Ideal Protein Program are an ideal way of doing this. Adding herbs and spices to your dishes will not only give them tons of flavour but will also provide some pretty awesome health benefits. 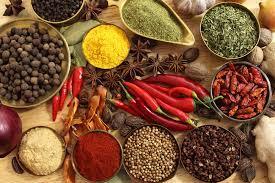 Black pepper, cardamom, cayenne, cinnamon, garlic, ginger and horseradish are all warming herbs. They increase your internal body temperature and in turn, increase your metabolism. All these herbs also contain antiseptic properties and help relieve colds and flu’s. Now that winter is almost here, it’s the perfect time to experiment with herbs and spices. It’s amazing how many people don’t drink enough water. Either they don’t feel that they are thirsty or if they are, they prefer coffee, juice or pop. Water is essential for our vitality. The body is made up for at least 60% water. 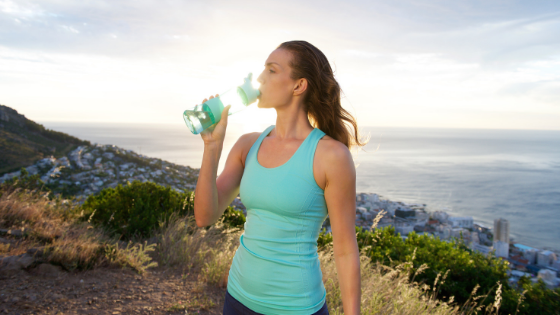 When we don’t drink enough water, our cells become dehydrated and their function changes. 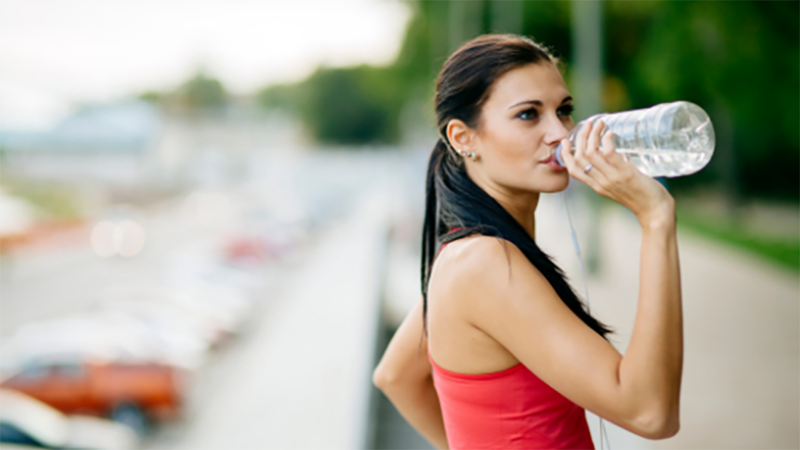 Drinking sufficient amounts of water is not only associated with weight loss; it is related to improvements in skin complexion, digestive functioning and pain reduction. Sometimes making small changes means giving up on certain indulgences. Alcohol is often associated with socializing and celebrations as well as relaxation – whether it be after a long day or a long week. The trouble with alcohol is that it contains 7 calories per 1 gram and has absolutely zero nutritional value. Alcohol is considered a non-nutrient and is a major contributor to weight gain and difficulty losing weight. If you find yourself having more than 5 drinks per week, ditch the booze and benefit from the positive results. When it comes to weight loss and health in general, diet is everything. It truly is the core to well being. The best way to take control of your health is to take control of your diet. Want to learn the last 10 tips? Check out Part 2: Above and Beyond Diet! When it comes to weight loss and optimizing health, we often focus on calories in and calories out. In reality, multiple variables that can lead to weight gain and affect weight loss are frequently overlooked, such as hormones, food sensitivities and toxic overload. 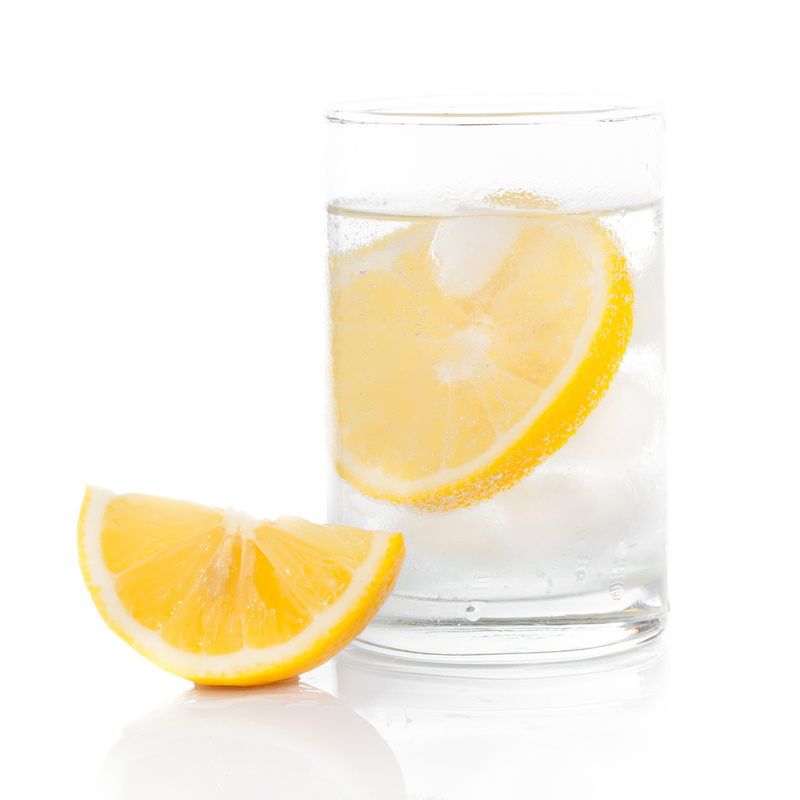 Over the last 5 years detoxes and cleanses have become extremely popular, yet, often remain misunderstood. Different health professionals have differing opinions about them leaving many people confused. Research shows that certain chemicals act as “obesogens” by altering a person’s metabolic processes, predisposing and contributing to continued weight gain. Understanding how the body naturally functions is essential to understanding why toxins contribute to weight gain, fluctuation and difficulty losing weight. The human body is designed to continuously and naturally remove unwanted toxins. 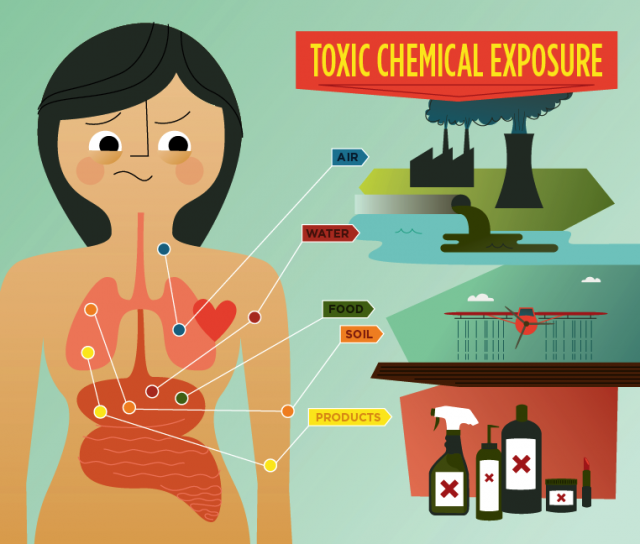 There are two types of toxins that can enter the body: water-soluble and fat-soluble. 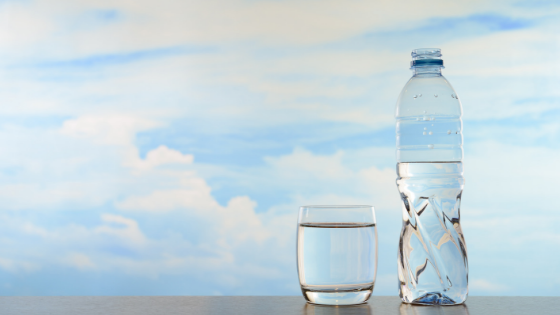 While the blood, kidneys and lungs naturally eliminate water-soluble toxins, fat-soluble toxinssuch as heavy metals, environmental pollutants, pesticides, plastics, preservatives, food additives and other environmental chemicals must enter the body and be converted to their water-soluble counterparts prior to being eliminated. The liver plays a crucial role in this process but if the digestive system and detoxification are not functioning optimally, toxins find their way from the liver to the blood, fat cells and brain where they can be stored for years. 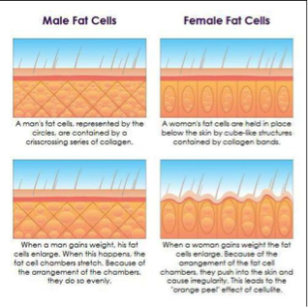 In order to truly understand how toxins are stored in fat cells, it’s important to understand how the body’s natural elimination process works. When we eat and digest a meal, both nutritional and toxic fats get transferred from the stomach into the small intestines, where bile is secreted from the liver and gallbladder. Within the small intestines exist millions of small “hairs” known as villi and lacteals. 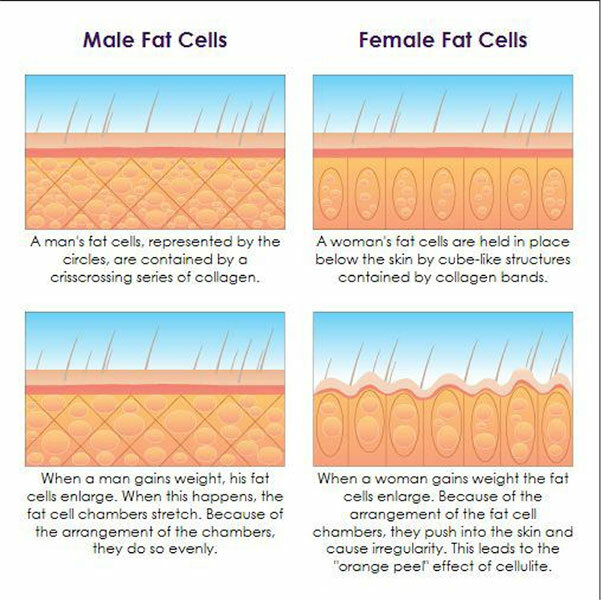 They work simultaneously to sweep the gut,emulsify fats and help them absorb via Gut Associated Lymphatic Tissue (GALT). GALT surrounds the intestines, absorbs lacteals and takes the absorbed fats back to the liver where good fats are used to make energy, cholesterol, hormones and brain cells and toxic fats are processed for elimination. If the lympathic system becomes congested and when the detoxification pathways in the liver and large intestine are not functioning properly, the body begins to store the toxic fats rather than remove them. Toxic fats get sent back into blood circulation and eventually become absorbed into fat cells throughout the body andstay stored for many years causing free radical damage and cellular degeneration while also affecting metabolism, leading to insulin resistance leading to abdominal weight gain. What Does Your Poop Have To Do With It? The primary role of the large intestine is to eliminate unwanted toxins from the body through Bowel Movements. A healthy person typically has 1-3 sausage-like bowel movements per day. When a person is constipated, toxins become reabsorbed, reenter blood circulation and eventually become stored in fatty tissue. There are many factors that can contribute to constipation and addressing bowel health is essential to detoxification and weight loss. If constipation is an issue, start by making simple changes. Increase water intake to 8-10 glasses of water a day, incorporate more fibrous vegetables into your diet and remove refined sugars and processed foods and add some form of physical activity. Consider food sensitivities,have your blood or saliva tested for thyroid function and review all medications and their side effects. According to the latest CDC report, every person who participated in blood testing for toxin exposure was found to have a host of nasty chemicals including flame-retardants and Bisphenol A, a hormone-like substance found in plastics, stored in fatty tissue. The best way to remove these toxins is strategically, with the help of a medically guided program and healthcare professional. Naturopathic Doctors, Holistic Nutritionists and Functional Medical Doctors are extremely knowledgeable in different detoxification protocols and can determine which one is specifically best for you. Be aware: not all detoxes are appropriate for everyone so avoid going to a healthfood store and picking up any random cleansing kit. This may leave you feeling worse than you started! 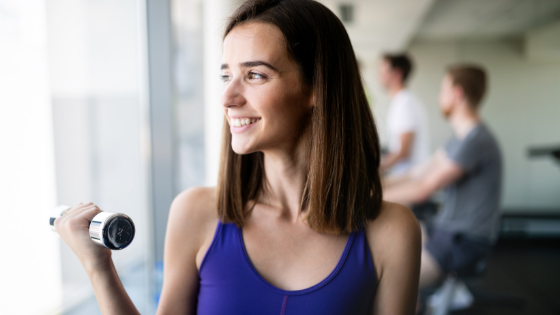 You will require a thorough assessment to determine which area or areas of the body need to be addressed so that a specific supplement protocol can be prescribed. Before you see a healthcare provider, consider what small changes you can implement on your own. Firstly, reduce your exposure to toxins found in foods by removing any processed, pre-packaged and boxed foods as well as alcohol and caffeine. Eliminate refined sugars, additives, sweeteners, preservatives, artificial flavoring, food colouring and dyes. By sticking with organic, plant-based whole foods instead, you reduce the toxic burden on the liver and intestines. 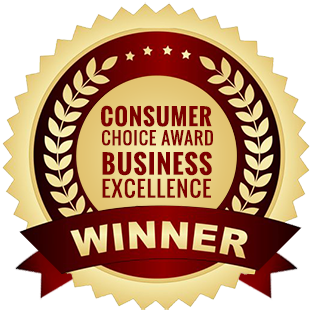 The next step is to review all cleaning and personal hygiene products such as chemical-ridden soaps, lotions and beauty products and opt for natural alternatives where you can. A medically guided detoxification will help you identify and get rid of specific toxins, address imbalances in the digestive system and get the livers natural detox pathways working effectively. Toxins stored in fat cells get pulled out and enter the blood stream, get reabsorbed by the intestines and re-enter the liver. The liver can then convert fat-soluble toxins into their water-soluble counterparts and effectively eliminate them through urine, sweat and breath. Subsequently, strategic dietary changes can facilitatefat loss, maintain muscle mass and result in long lasting weight loss! Do you ever feel like you’re ALWAYS on a diet? Always counting calories, considering portion sizes and keeping active? If you eat well and exercise regularly but still have a hard time losing weight, you may want to rethinkwhat you’re eating. 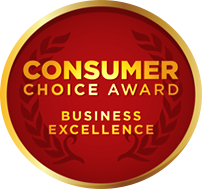 Over the last few years, there has been a lot of buzz around food sensitivities. Food sensitivities can not only lead to digestive symptoms such as bloating, heartburn, diarrhea and constipation; they can result in other symptoms such as anxiety, irritability, headaches, fatigue, joint pain, eczema and you guessed it, weight gain or difficulty losing weight. Let me break it down: the digestive system is filled with thousands of bacteria that live symbiotically and keep us healthy and happy. Lining the digestive system is approximately 90% of the immune system, separated by a wall of mucosa. When we eat a standard North American diet (SAD diet) filled with pizza, pasta, burgers, chicken fingers and fries, we foster the growth of bad bacteria that damage our digestive lining and produce toxins.As a result of the damage, food particles leak into the blood stream causing the immune system to react, creating substantial inflammation.As the cascade of reactions continues, the inflammation leads to a toxic fatty liver and insulin resistance thus leading tomore insulin being produced. Increased insulin promotes fat storage. In short, it stimulates the growth of pre-fat cells into fat cells. It makes it nearly impossible to lose fat if insulin is constantly being produced. There are two ways to find out if you have food sensitivities and both have their pros and cons. The first way is to take a food sensitivity test. This is a simple blood test done with a naturopathic doctor, in their office.A few drops of blood are taken from the finger and sent out to a lab.The lab uses a method called ELISA testing to determine whether any food sensitivities exist and provides a full report.This method of testing food sensitivities is both accurate and reliable but can be expensive, ranging between $200-$500. The second option is to do an elimination diet. Remove commonly reactive foods for 2-4 weeks and slowly reintroduce those foods, observing for any physical or psychological symptoms. This process takes more time and great commitment and is best done under the supervision of a naturopathic doctor or holistic nutritionist.Some common reactive foods include: gluten/wheat, dairy, eggs, soy, corn and sugar. Food sensitivities and food allergies both elicit an immune response but the difference lies in the typeof response produced.A food sensitivity is a delayed immune response, sometimes taking up to 72 hours to occur, whereas an allergy is immediate and typically results in diarrhea, hives or an anaphylactic reaction (throat closing, difficulty breathing).The immune system produces the antibody IgG in response to a food sensitivity whereas in a food allergy, it produces IgE.These small differences in the immune response lead to major differences in when, what and how your body may be manifesting specific symptoms. Just because you may not experience a symptom immediately after eating something, doesn’t mean you won’t. If you eat well but can’t seem to lose weight, food sensitivities and chronic inflammation may be the problem. If you consider yourself a “yo-yo” dieter you should truly consider having a food sensitivity test done or speak to a health care professional to properly guide you through an elimination diet.If food sensitivities are indeed the cause of your difficulties, you will want to take specific supplements to bring balance to those thousands of bacteria and heal the damage caused to the gut lining. When you finally address the health of your digestive system, you will notice how easy it is for your body to start shedding unwanted weight! Have more questions about food sensitivities? Lets talk! I’m happy to help! I sometimes have patients who come to my office and boast about their healthy dietary habits but complain about their lack of weight loss success. Having been taught to ask the right questions, I always ask patients to clarify what a day of their diet looks like. Sometimes I am surprised by what people consider “healthy” and other times I am more than impressed by the knowledge some patients already have. One of the reasons I got into weight loss and weight management care was because of my genuine interest in digestive health. I was curious to understand how the digestive system was linked to the other systems in the body, why its impairment could lead to a myriad of symptoms, both physical and psychological, and what factors could positively or negatively affect its functioning. 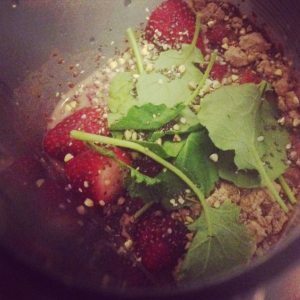 I quickly learned that a healthy gut is an essential component of healthy weight. I’m thrilled to see more studies investigating this relationship and more articles being written by mainstream media sources! Below I’ve tried to give you a simplified explanation. The digestive system cannot function properly without a well-balanced microbiome. 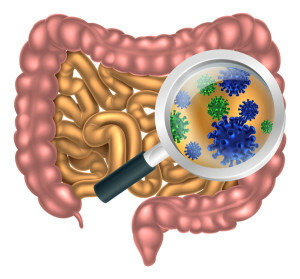 The composition of the gut microbiota varies depending on many factors such as diet, stress and antibiotic use. A loss of balance, called dysbiosis, can lead to many symptoms including but not limited to: bowel disorders, allergies, inflammation, diabetes and …OBESITY. Candida and Food Cravings: Candida (yeast) is a well-known microbiota that can overpopulate and lead to candidiasis. When this occurs, people often experience sugar and carbohydrate cravings, fatigue, brain fog and weight gain. In fact, symptoms of candidiasis can also manifest as constipation or diarrhea, bloating and indigestion, headaches or migraines and skin conditions such as eczema and psoriasis. Food cravings can be subtle or severe but are always satisfied with sugary snacks and refined carbohydrates. Sugary snacks and refined carbohydrates affect insulin and blood sugar levels and increase fat storage within the body. These foods are often high calorie, lack nutrients and filled with additives, preservatives and sugars; they neglect to provide any benefit. Many people admit that cutting sugar from their diet is extremely hard because the cravings can be so extreme. What many people don’t realize is that sugar feeds candida so sometimes, the cravings are actually the microbiota saying feed me! 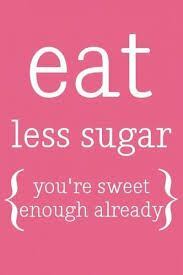 If you cut sugar out for one week, your cravings will start to diminish and eventually go away. If you truly have candidiasis you will want to take additional supplements to help kill the overpopulated candida and restore a healthy and balanced microbiome. Self-prescribing supplements may lead to ineffective results, symptom aggravation and loss of money. If you live in Toronto and think you may have a yeast overgrowth book a FREE CONSULTATION with me. Food Sensitivities: Over the last five years, people have become aware that some foods may be really healthy but may not be right for them. We often hear about food allergies and associate them with symptoms of hives, rashes, diarrhea, vomiting or anaphylaxis. 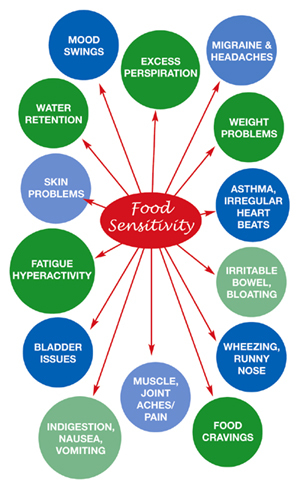 Food sensitivities manifest as more subtle symptoms, sometimes only occurring 3 days after eating an offending food. When the body develops food sensitivities it produces an immune response causing inflammation. Chronic inflammation due to daily consumption of reactive foods can lead to weight gain and difficulty losing weight. Eliminating the most common reactive foods or taking a comprehensive blood test to determine specific food sensitivities, can be the key to healthy and long lasting weight loss. The most important take home is that healthy weight loss is more than just counting calories. The digestive system plays a fundamental role in our body weight and for many people, it’s not about how much food they are eating, it’s about what food they are eating. Foods that feed candida, create dysbiosis and impair the digestive systems microbiome cause weight gain, fluctuation and make it difficult to lose weight. 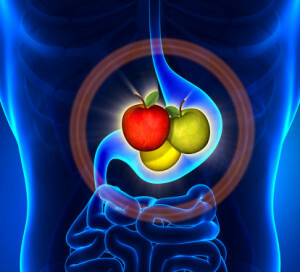 To achieve true weight loss and optimize your overall health, always consider your gut! !